Tolkien liked the title for its ambiguity and its ability to unify two separate stories in one title. I’m not totally sure which of the towers mentioned in the book are supposed to be the two towers. I always figured one was Sauron’s Barad-dûr and the other was Saruman’s Orthanc in Isengard, but Minas Morgul/Minas Ithil and the tower of Cirith Ungol are also possibilities. I listened to a basically unabridged audiobook version that included sound effects and music from the films. As with The Fellowship of the Ring, this very much enhanced my experience of the story and made it possible for me to continue when I didn’t have time to sit down and read. I also have a paperback edition from Ballantine with a special cover featuring images from the film; I think I only sat down to read sections of it where my audiobook version had obvious problems, hence the complete lack of flags in the picture above. I enjoyed this even more than the first book. The story seemed more cohesive, even with the book divisions and separate plot lines..
Sam is the true hero of this volume. He's super likable; even when he makes a "bad" decision, it's always motivated by love for Frodo. I also like Frodo's character in this book. The master-servant relationship between them gets more and more equal. I'm struck by the differences with his character in the book and in the film; he's way more likable in the book, but I can't get into that without spoilers. I also love Faramir. After Sam, he is my favorite character. Tolkien foils him with Boromir to show different sides of human nature. It helps to keep the race of “men” from becoming a caricature (an unfortunate effect of Gimli and Legolas being the only representations of their races in the fellowship). I both love Smeagol and love to hate Smeagol. His interactions with Sam are sometimes hilarious, sometimes perilous, and always entertaining. I love his character arc, his arguments with himself, and how his decisions make perfect sense within the story. I sympathize with him, but I also love to hate him—kind of like Severus Snape in the Harry Potter series. I also love that the orcs have names, different opinions, and individual and team objectives that don’t always jive. I’ve never seen a Tolkien imitation that didn’t just turn them (or whatever equivalent evil minions) all into a nameless animalistic blob of evil. 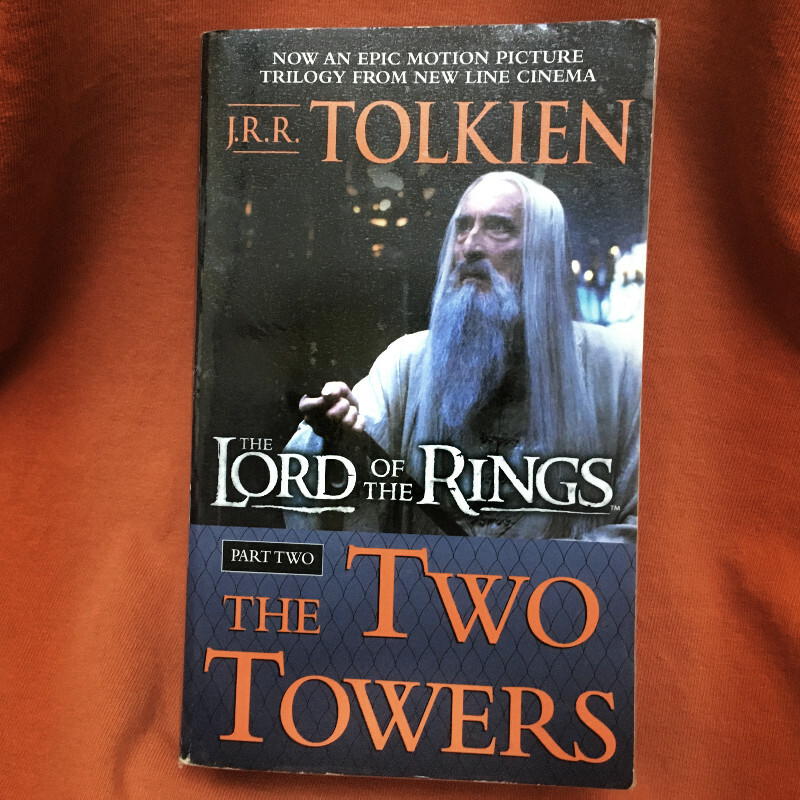 Rather than alternating back and forth between the plot that follows Frodo and Sam and the plot that follows everyone else, The Two Towers is divided into Book III and Book IV. The divisions of the story into much smaller “books” is growing on me. Overall I think it makes a better division than a trilogy, but if it had actually been sold as six books instead of three or one, I don’t think it would have fared as well after Book II (the second part of The Fellowship of the Ring). I retract my previous statements about structure division crap—it needed some cuts and revisions, but the overall division of LOTR into a trilogy is solid. Book III follows Aragorn, Legolas, and Gimli; and Merry and Pippin. I was much more interested in the Sam-Frodo storyline (Book IV), which I think is why I didn’t get through this volume last time I tried to read it. Waiting for 230 pages to reach what I consider the “main” plot is tiresome. You might theoretically be able to read Book IV before Book III but I’ve never tried it. I did, however, like that this volume had the more interesting section second; it left me curious to continue the story when I finished. Book III is also more interesting than II, so it’s not like the beginning of The Two Towers it’s a step down from the end of The Fellowship of the Ring—it just saves the best for last. I also love the twist ending. It occurred to me while I was reading that if I didn’t already know the story and how it goes, the surprise of it would rock my world, but I can’t go into more detail without spoilers. The end satisfies me as a reader and leaves plenty of problems to work out in the next volume. I highly recommend The Two Towers. I like it even better than The Fellowship of the Ring. 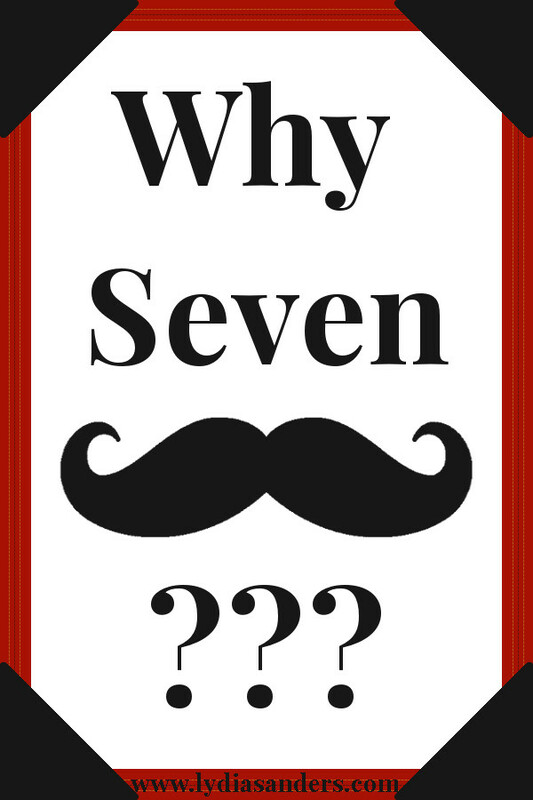 This book deserves at least six mustaches, but I do still recommend listening to audiobooks of the LOTR trilogy. That way slow parts can pass by without you putting too much brain power into moving forward, and you can pay closer attention when interesting things happen. 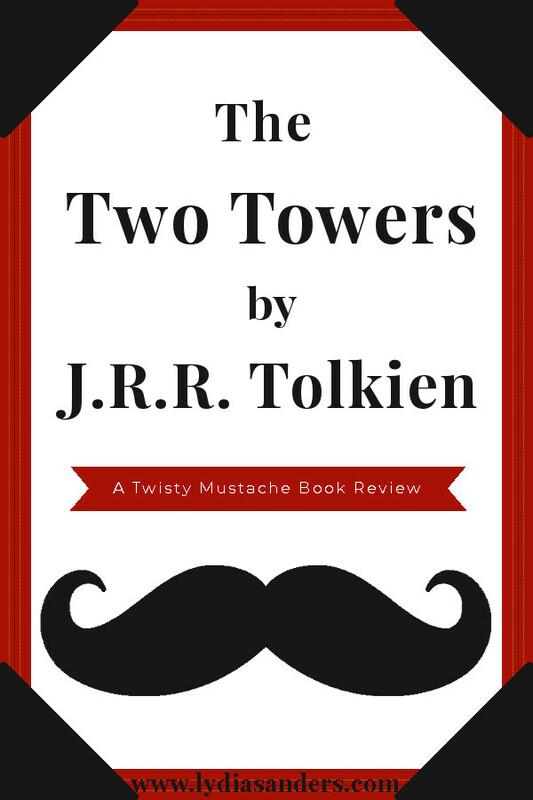 Have you ever read The Two Towers? What did you think of it? Leave a comment below or my hairless ghost lemur will haunt your dreams.